- Andrzej Gąsiorek, 'Editorial', n.p. 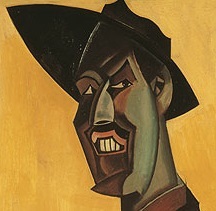 - Michael Nath, '"By curious sovereignty of art": Wyndham Lewis and Nihilism', 1-22. 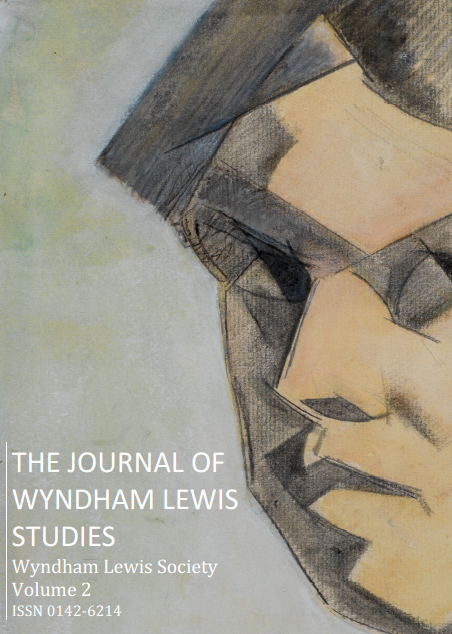 - Julian Hanna, '"With Expletive of Whirlwind": Wyndham Lewis and the Arrival of the Avant-Garde Manifesto in England, 1913-1922', 23-44. - Philip Head, 'Vorticism and Architecture', 45-67. - John Rodden, 'Wyndham Lewis’s Tarr: Portraits of the Failed Artist', 68-104. - Ivan Phillips, 'In His Bad Books: Wyndham Lewis and Fascism', 105-34. - Alan Munton, 'The Vorticists: Rebel Artists in London and New York, 1914-1918 at Tate Britain, 14 June – 4 September 2011', 135-55. - Paul Edwards, 'Big Englander', 156-62. - James Fox, 'Response to Paul Edwards', 163-9. - Nathan Waddell, Review of Deaglán Ó Donghaile, Blasted Literature: Victorian Political Fiction and the Shock of Modernism (2011); Stephen Sicari, Modernist Humanism and the Men of 1914: Joyce, Lewis, Pound, and Eliot (2011), 170-7.